Simultaneously city is born, is fed, flourishes, and perishes. Unlike human being, or unlike any commodity, city’s life fluctuates according to multiple parameters in the non-linear life of birth, death, rebirth and so on. Its purpose is never singular, its premise never an end-product. What nurtures a city also is nurtured by it in a non-hierarchical relation. encounters both an opportunity of growth with emerging industries and a phenomenon of shrinkage in population. 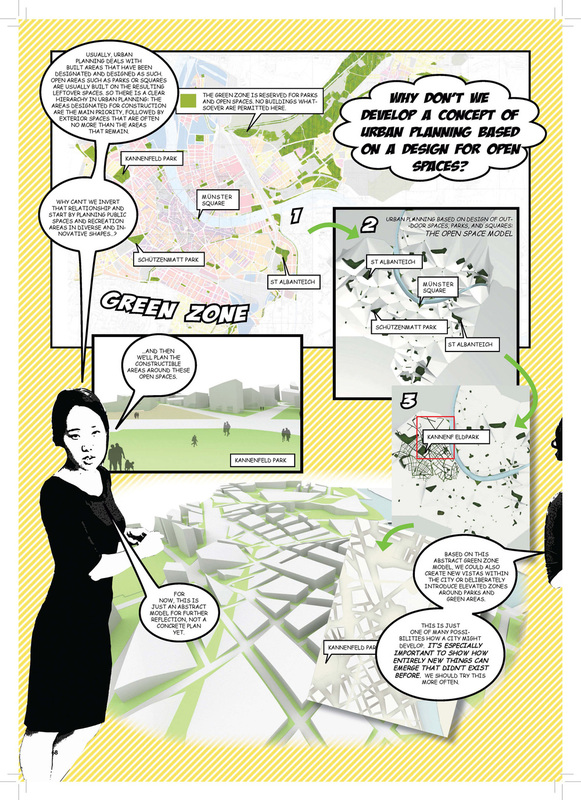 Basel dilemma seeks an opportunity to test an alternative methodology of planning. 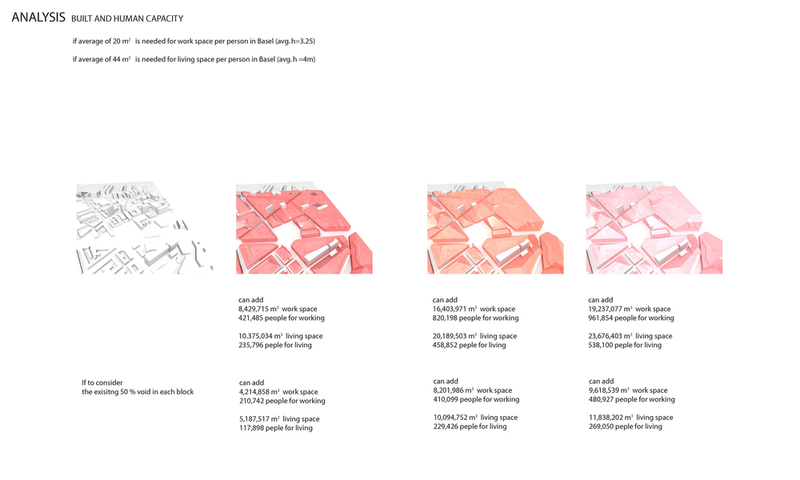 The thesis proposes an idea of density -both of the built and the human – as a response to such need. Instead of focusing on a concrete end product with yet another vision for beautiful rendering, defining space through density, as opposed to form, can adhere to multiple possible scenarios. Variable DenCity accepts the given dynamics of different parameters at hand, responses to the emerging decisions, and in the end, provides palette with which one may initiate a process of change. In doing so, the thesis begins with the research of pre-existing planning ideologies in terms of their human+built density, valuing them through our contemporary needs, and in turn, asks the question of what types of parameters will be played at hand to define the Variable DenCity. Then those parameters will come into relation to each other within 1km x 2 km site by narrating scenarios. At this point, Variable DenCity ultimately relates back to the quality of life of each individual who occupies the city, only with whom a new identity of the city of Basel can be reborn.